On September 6th, BCSO received a 911 call from a person surfing in the area of the Patrick AFB. The caller explained that he had just witnessed a female exit a vehicle, and start running towards him while shouting for help. A man exited the same car, grabbed the female and forcibly placed her back in the car. The man then drove southbound on A1A with the passenger door still open. The caller believed he had just witnessed a kidnapping. 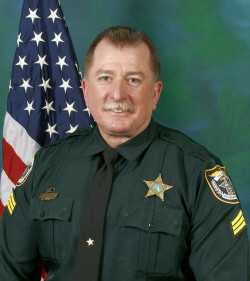 Sergeant Mike Brown was in the area of the Pineda Causeway and State Road 3. As a supervisor, he took control, and directed other deputy sheriffs to check A1A as he began checking the Pineda Causeway for the vehicle. He observed a vehicle matching the general description traveling west on the Causeway. He turned on his blue lights and siren in an attempt to stop the vehicle. Unfortunately, the man driving the vehicle would not stop. Sgt. Brown observed a physical altercation between the driver and passenger and the vehicle was weaving in and out of the traffic lane. The erratic movements of the vehicle were a result of the female passenger attempting to grab and pull at the steering wheel. The driver was refusing to stop and the vehicle continued westbound at a high rate of speed, crossing the Banana River bridge. The vehicle crossed State Road 3 and continued over the Indian River bridge with Sgt. Brown in pursuit. The vehicle then made an abrupt turn to the right and drove right into the Indian River and came to rest in the water, more than 100 feet from shore. Fearing the man might be injuring the woman, Sgt. Brown immediately jumped into the water and waded quickly toward the vehicle. As he approached, he could see from a distance, through the glass, that the driver appeared to be repeatedly striking the passenger. As he got closer, he saw the man was repeatedly stabbing the woman with a large knife. Sgt. Brown pointed his duty weapon at the driver. As an extremely experienced deputy who is no stranger to dangerous situations, he moved into a position so that if he discharged his firearm, the bullet would not pass through the assailant and strike the woman adding to her injuries. Sgt. Brown fired six times through the driver’s side window, with all 6 rounds striking the driver. Thanks to Sgt. Brown abilities and forethought, none of the bullets hit the woman and the vicious attack was halted. He then worked to rescue the critically injured woman from the vehicle and carried her to shore for medical attention. Then he returned to the vehicle to ascertain the status of the driver in case he needed medical attention, but it was determined the man was deceased. The victim was transported to the hospital with life threatening injuries. As a result of the attack, she sustained 31 stab wounds and lacerations to her abdomen and arm and had a broken wrist. After emergency treatment and surgery we are very thankful to advise the woman survived and has recovered. Our investigators believe the man’s intent was to kill the woman and then commit suicide. Sgt. Brown’s quick and decisive actions were the only thing standing between the victim dying from this brutal attack and her survival. His actions on that day led to his unanimous selection as our Deputy Sheriff of the year. 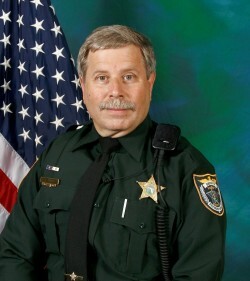 In addition to being the Deputy Sheriff of the Year, he is also being recognized with a Life Saving Award and the agency’s highest award, the Medal of Valor. Additionally, we are very proud to announce that he has was selected to receive one of our nation’s most prestigious law enforcement awards, the “Award of Valor” from the National Sheriff’s Association. 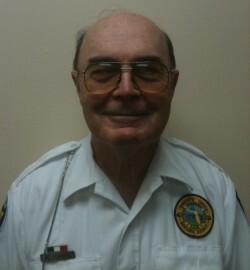 Corrections Deputy Bjorn Norman has set the standard as a dedicated professional in the Corrections Field. He always demonstrates the highest level of professionalism and is a positive and motivating role model for his co-workers. He understands the importance of being proactive in the inmate housing units and has the ability to sense trouble before it happens and diffuses bad situations. He is not only exceptional in the housing unit, he is an outstanding booking officer. He is extremely knowledgeable of policies and state law and is leaned upon for that knowledge by his peers. Because Corrections Deputy Norman is dually sworn in both corrections and law enforcement, he is called upon to investigate and complete criminal case reports. His work has been praised by members of the State Attorney’s Office for thoroughness and attention to detail. He has also been an active member of the Jail’s K-9 team for years. He is routinely called upon to conduct searches for discarded evidence and missing children and seniors throughout the county. Communications Officer Angie Velten, is by all accounts, very special. 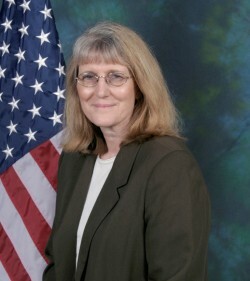 She has received multiple commendations in 2011 to include various Letters of Appreciation, a Commendable Service Award, and a Meritorious Service Award. She was also directly involved in two very stressful high profile incidents. On September 6th, she was the primary dispatcher for a call where a man kidnapped and stabbed a female more than 30 times in an attempt to kill her. CO Velten calm and competent actions under horribly stressful conditions played a major role in giving the deputies the information they needed to find the suspect and save the woman’s life. In another incident, as you heard earlier tonight, she was instrumental in the capture of man who committed a homicide in Vero Beach. Angie Velten’s actions, performance and attitude throughout 2011 can only be characterized as outstanding. She is a true team player who strives for perfection in her work and has a deep caring for the safety and welfare of our deputies and our citizens. The primary duty of Enid Bourgault, who has been selected as the employee of the year, is to ensure we are operating at the highest level. Her work has been critical in our office successfully being awarded three consecutive tri-annual accreditation inspections with the highest marks. Nothing illustrates her capabilities better than the following example. The Florida Sheriff’s Association decided they were going to post all of the policies and procedures of Florida’s 66 Sheriff’s Offices on their website for review of best practices and best law enforcement policies throughout the state. As the information was being compiled, they made a determination the information was too voluminous. As a result, they decided to select a single Sheriff’s Office whose policies best represented all Sheriff’s Offices. Their choice..…the Brevard County Sheriff’s Office. During this year’s accreditation assessment, all three assessors complimented BCSO as one of the finest law enforcement agencies and credited much of our policy success to Enid’s diligence. One of the assessors even commented that the agency’s audit and inspection was flawless, something unheard of by an assessment team created and trained to find issues for improvement. Beginning in 2005, the Brevard County Sheriff’s Office established a very special annual award known as the Lucy Ross Award. Lucy was unfortunately taken from us much too early when she was killed in the line of duty in 2004. Lucy was very special to all of us. One of the ways we celebrate her life is through the recognition of a very special person in the Sheriff’s Office who demonstrates the same qualities as Lucy…qualities such as an unwavering dedication to the community, the attainment of excellence in her profession, and the love of children. 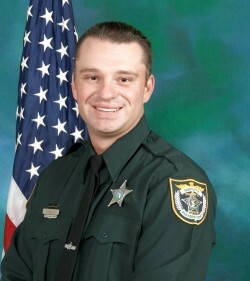 This year’s recipient Agent Joe Martin has been a member of the Brevard County Sheriff’s Office for more than 8 years. During his tenure, he has served in the capacity of a uniform patrol deputy, a General Crimes Agent, a Domestic Violence Agent and a Homicide investigator. There are many heart-warming stories about his good works in the community. As one example, he provided eyeglasses to a nine-year-old child with cerebral palsy who was suffering headaches, but whose family could not afford them. As another, he took it upon himself to lead a food drive through the holidays to assist the Women’s Center in Melbourne. He has been an outstanding board member for the South Brevard Woman’s Center and Serene Harbor which provides shelter to battered women and children. His compassion and determination toward the protection of victims, in particular to women and children is unparalleled. Reserve Deputies are fully certified law enforcement officers, but are typically employed in the private sector or are retired. They want to continue to serve their community as a law enforcement officer and do so without any pay or benefits. All of our reserves are extremely special people who volunteer their time. After careful deliberation and examination of several excellent choices for the Reserve Deputy of the Year award, the Reserve Unit proudly nominated Sergeant Charles Nash. Sgt. 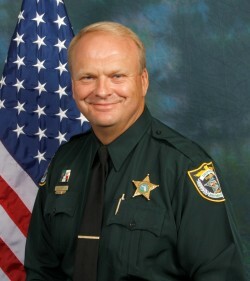 Nash has shown exemplary performance both as a supervisor and in all of the duties required of him as a patrol deputy. He is friendly, outgoing and well liked. We believe one of the reasons our reserve deputy unit is so successful is largely due to the motivation and enthusiasm of Sgt. Nash. He sets a strong example by working a lot. We ask that reserve deputies volunteer 240 hours a year. 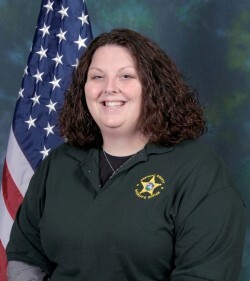 This deputy shattered that number hitting 689 hours in 2011. This is quite impressive when you realize that he has a very busy full time job as a very successful attorney. He also finds the time to serve his community as a member on many non-profit boards to include Crosswinds Youth Services, the Women’s Center, and the Brevard Symphony Orchestra. In 2011, COP Mike Powers donated more than 1,500 hours. Commander Joe Ambrose of south precinct had so much confidence in him; he was selected to coordinate the C.O.P. program for the entire precinct. His work ethic, coupled with the experience he earned from a distinguished career with the Air Force, has proven to be a great asset to our Office. His desire to give so much effort and time to assist our Agency and the citizens of Brevard, and to do it without any compensation, is truly extraordinary. 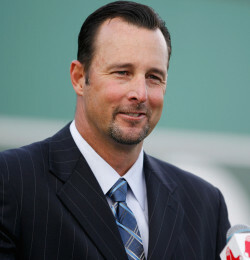 Our citizen of the year, Tim Wakefield, is arguably Brevard County’s most famous person. He is also in our opinion one of the finest major league baseball players of all time. But that is not the reason he is being selected as our citizen of the year. Instead, he has been unanimously selected by our team for the wins he has had away from the field. He has played a critical role in the success of the Early Intervention Center. This very special school is an essential resource to children and children with special needs right here in Brevard County. Each year, he holds a celebrity dinner, auction and golf tournament which has brought in hundreds of thousands of dollars for these children. He absolutely loves each one of them and they absolutely adore him. The Medal of Valor is the highest award presented by the Brevard County Sheriff’s Office.It is presented to a member who performs an act of heroism, by putting themselves in imminent danger for the purpose of saving someone’s life. These recipients were nominated by their supervisors and selected by the Awards Committee for displaying exceptional thoroughness, determination, compassion and initiative while carrying out their duties. This is a distinguished award that means that their actions directly saved the life of a fellow citizen. This award signifies that the recipient has performed a commendable act that is unusual in nature and demonstrates initiative and accomplishment.